One of the most frustrating things to go through with your dog is leash pulling. This behavior can be dangerous and cause injuries. Most dogs learn to pull on their leash, but with a little effort and training you can get Fido to stop. There are 2 factors that create the pulling problem. The first is called opposition reflex. This simply means that dogs naturally oppose outside pressure. So when your dog feels the tension of the leash pulling backwards, he instinctually leans forward against it. The second factor is the reward they get for pulling. When Fido pulls, he is rewarded by going faster and having more control. These 2 factors work with each other to make the behavior worse. Pulling can be solved in many ways. 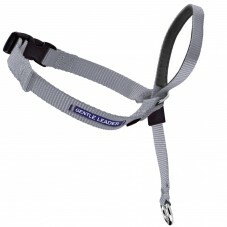 One simple and effective method is to use a Gentle Leader Headcollar or Easy Walk Harness. These 2 products are designed to prevent your dog from pulling without causing pain. 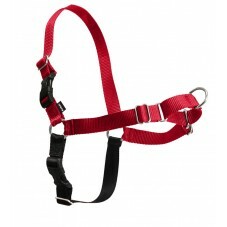 If you don’t want to use a harness, a positive reinforcement method can also get you great results. Here’s how to teach your dog not to pull with positive reinforcement. First, find a place that is quiet so it’s easier to keep your dog's attention. Make sure you have some treats that your dog likes and break them into very small pieces. Make sure you have a standard length leash and not a retractable leash. A retractable leash extends the more your dog pulls, giving your dog even more of a reward for pulling. Don’t cause the tension on the leash. Keep your hand that’s holding the leash down at your side. Get your dog's attention with a treat. Start walking with your dog. For every 2 steps that you take with your dog maintaining a loose leash, reward him with a piece of the treat. Continue to do this and begin changing directions. If your dog gets to the end of the leash and begins to pull, immediately go in the opposite direction. Reward your dog when he comes back in your direction and releases the pressure on the leash. It’s important that you go 180 degrees away from your dog’s intended path. It’s very important to be consistent with this training technique. Following the training steps will teach your dog that pulling no longer pays off, and walking with a loose leash is rewarding. Go through these steps and slowly introduce more distractions. You may find that higher distractions will require better treats. Being consistent is the key to successfully solving this problem. When you first start this program, it may take a little longer to go places with your dog. Remember to allow more time so you can be consistent. Only hold the handle of the leash, and do not "reel it in." Let your dog create a tight leash. Don’t pull on it if he’s not. Match the value of the treat with the level of distraction when training. Timing is very important so react quickly when he starts to pull. Reward quickly and frequently when he is not pulling. In the beginning, if it seems like you’re walking around aimlessly, you're probably doing it RIGHT. Talk to a professional trainer if you’re not getting the results you want. Be patient and always have fun when training your dog. With a little determination, you can achieve good leash manners in no time.